Since its inception, the Android operating system has grown to become the world’s most used and most popular operating system. Two of the highlight features of the Android operating system is definitely the level of customization supported by Android and the huge library of largely free applications available for the OS. Even though billions of people use and love the Android operating system on their devices, many people wish to use the Android operating system and enjoy its applications on a device with dedicated peripherals, like a PC. Running Android apps on the Windows operating system can be really helpful for all kinds of people from application developers to regular app users. To help people run the Android operating system and application on Windows machines, there are many Android emulators available out there. If you have a PC running the Windows 10 operating system and if you are in search for the best Android emulators for Windows 10, then today we bring you a list of the best Android emulators for Windows 10. BlueStacks is hands-down the best Android emulator for Windows 10 in 2019. If you already know about Android emulators for Windows or if you have searched online for anything related to running the Android OS on Windows, then you must have definitely heard about BlueStacks. BlueStacks is a free Android emulator for Windows 10 and is a simple yet powerful Android emulator for Windows. The BlueStacks Android emulator can function perfectly on any Windows PC, even with low-end hardware. After installing and logging into the BlueStacks application, then you can download and install any application from the Google Play Store on your Windows 10 machine. The latest version of the BlueStacks Android emulator software also lets people run multiple applications in the background as well. 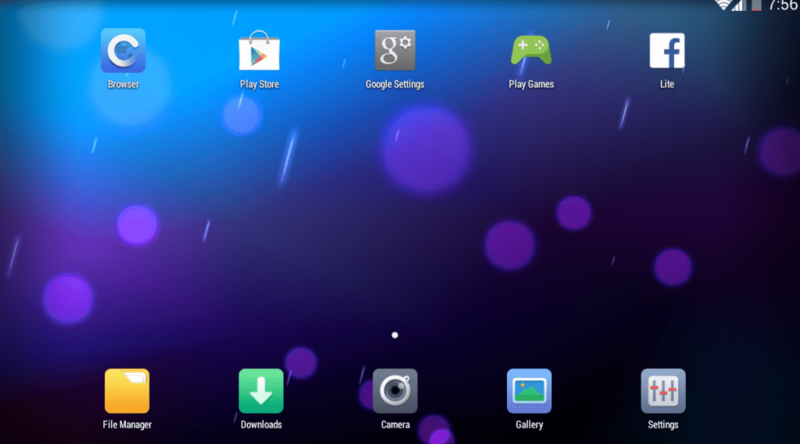 Nox is one of the best Android Emulators available in the market where you can download your android apps and install. 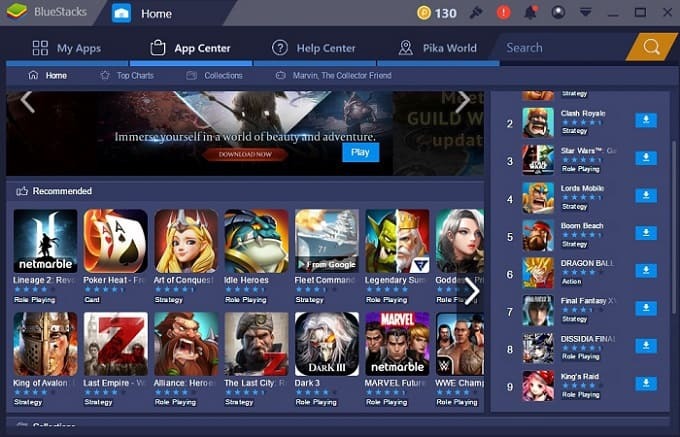 The limitations with bluestacks is that you can not play games into it which NOX Emulator allows.It has very advanced features that you want get flawless android app experience into it. Nox Android Emulator works with Windows 7, 8.1 and Windows 10 too where people are complaining about not working other emulators into windows 10 , This works perfectly .You can choose online and offline version to download Nox emulator. Windroy is another popular Android emulator for Windows. The Windroy Android emulator can run on any Windows-powered machine and is also fully free to download and use. The Windroy Android emulator is also known for its simplicity and resource management thus making it one of the most recommended BlueStacks alternative for Windows 10. The Android interface of the Windroy emulator works really smoothly and again, just like the BlueStacks emulator, you can run almost any Android applications on your Windows 10 system by using the Windroy Android emulator for Windows 10. 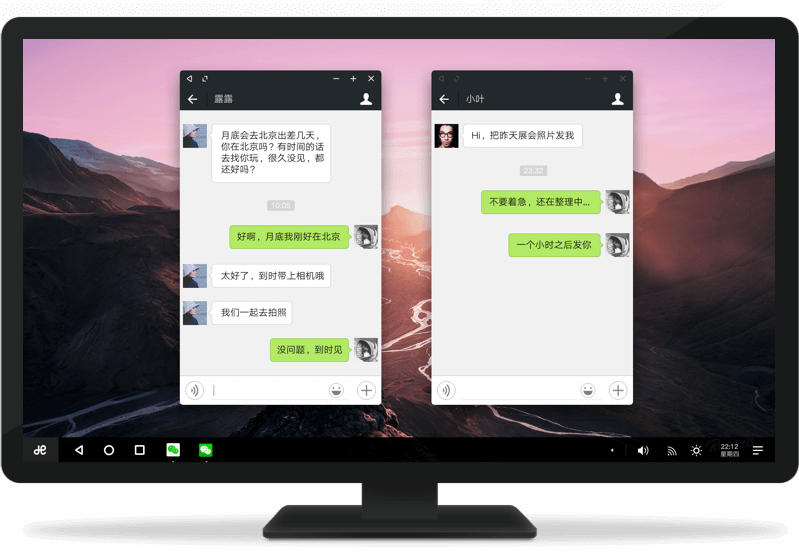 Andy OS is another popular Android emulator for Windows 10 and was earlier known as Andyroid Android emulator. Apart from letting users download, install and run almost all the Android applications on their Windows system, the Andy OS emulator also allow users to sync data and files between their Android device and Windows system. The Andy OS gets frequent updates to include all the security fixes released by Google and the developers of Andy OS also updates the emulator quickly to the latest Android version whenever it is released. The Andy OS emulator is well-optimized to run all applications and games for Android on Windows 10 systems without any lags or stutters. You can also use game controllers while playing Android games on Windows system if you use the Andy OS emulator. MEmu is also a great Android emulator software for Windows operating system. Just like the rest of the Android emulators out there, MEmu also lets users enjoy their favorite Android applications on their Windows system. One of the key highlights of the MEmu emulator for Windows is that you can create as many instances of the MEmu emulator as you want. Which means you can run your messaging applications on one instance of MEmu and run your favorite Android game in another instance and then use both the applications without having to switch from one app to the other. While playing Android games on Windows using MEmu, you can either choose to control the game using your mouse and keyboard or even use a gamepad or controller as well. The KO Player is another best and free Android emulator for Windows. The KO Player is considered the first choice for gamers to run Android games on the Windows operating system. The KO Player is a compact emulator so if you are short in storage space on your Windows system. Being a gamer-friendly emulator, the KO Player lets users connect their gamepads and controllers in order to enjoy playing Android games on their Windows system. One unique feature of the KO Player is that it allows users to set a fake GPS location. The Droid4X Android emulator is among the newer Android emulators in the market. Nonetheless, the Droid4X emulator is not short in any terms when compared to the other Android emulators mentioned in this list. 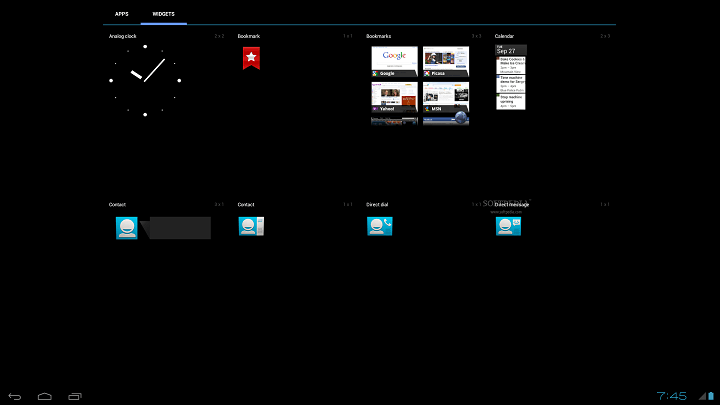 The Droid4X Android emulator for Windows allows you to run pretty much all the Android applications. You can also record the emulator screen while running applications to record gameplays or tutorials. Another great feature of the Droid4X emulator is the ability to control the apps and games running on your Windows system using an application installed on your Android device which is a convenient feature especially for media consumption and gaming. Did you find the list of the 7 best Android emulators for Windows 10 helpful? If yes, then do share this list with others who are interested in running Android apps and games on Windows systems so as to help them find the best Android emulators for the Windows operating system.